Being the City of Light, Culture and Fashion, Paris has much to offer to its visitors. There are many things travelers can do in the French capital. Paris walking tours, such as Le Marais Walking Tour and Louvre Skip-the-Line Guided Tour, introduce the city and its attractions in an entertaining manner. 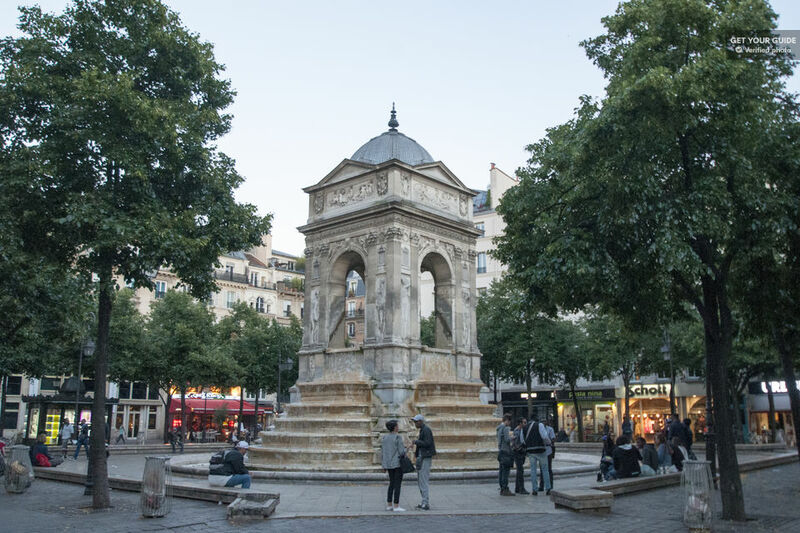 Paris guided walking tours reveal stories about famous places that avoid common knowledge and surprising spots worth exploring. Hence, consider booking Paris guided tours to acquire in-depth knowledge about this fascinating city. Furthermore, private guided tours in Paris, such as Pere Lachaise and Orsay Museum tours, reveal the spirit of competition among artists and ordinary folk besides works of art. Time, money and the way we use them are essential for a successful trip to Paris. Trip Indicator reviews private Paris walking tours and helps vacationists by suggesting the best ones in terms of their quality and value. Our professional travel advisors evaluate Paris guided tours and cross-reference them with the reviews of travelers that took part in them. The outcome is - you know which the best walking tours in Paris are that are worth your time, money and effort. A guided tour introducing the highlights of the most-visited and one of the largest museums in the world. Tour guide leads you between many highlights of the museum and reveals lesser-known gems most tourists miss. Skip-the-line entry allows you to bypass notoriously long lines to enter the Louvre Museum. Avoid waiting in queues that could lengthen up to a few hours and explore the museum's collection instead. 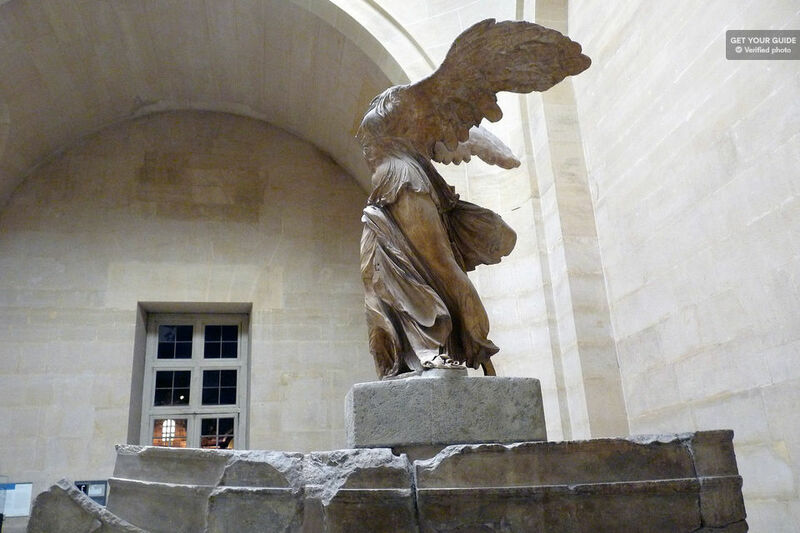 See highlights of the Louvre Museum such as the Nike of Samothrace, Mona Lisa and the Venus de Milo, and hear stories related to them. Learn that the Louvre used to be a stronghold before becoming a royal palace and the museum, and visit the foundations of the fortress. Fast track entry and certified tour guide. Headphones if needed to hear the guide without effort. "She was very informative and answered every question we had." "I was satisfied with the tour and guide professionality." "Learned about the old palace and histories about different works of art." The Louvre guided tour is suitable for people of any age and with various interests since it covers many areas of expertise. Taking the tour is especially recommended to first-time visitors since the museum is large and one easily misses a highlight. Travelers with limited time should also consider booking the activity. A tour guided by a professional guide introducing the largest stadium in France where sporting and cultural events take place. A chance for visitors to take a closer look at some less-visited areas of Stade de France and those exclusively reserved for players and officials. An overview of the stadium revealing historic events that occurred on its pitch. 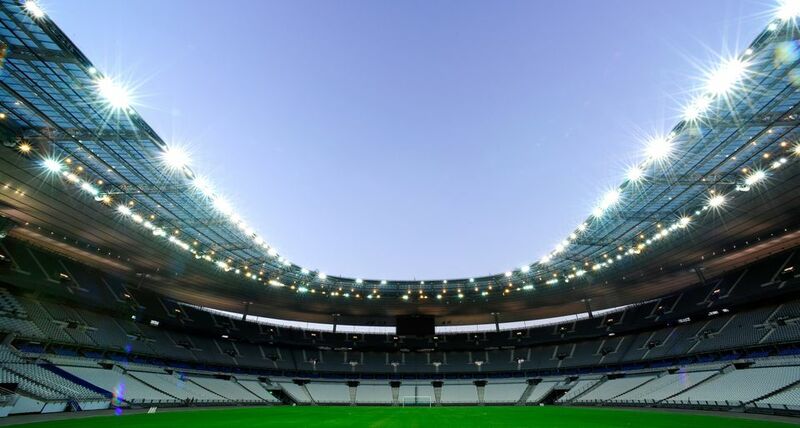 Get a guided tour of the Stade de France and access areas that are usually reserved only for the players, performers, the press and the officials. Hear stories related to the World Football Championship of 1998 and the European Championship of 2016. Learn an interesting history about the largest and one of the newest stadiums in France. Admission to the Stade de France and guided tour by a certified guide. The tour held in English or French depending on the selected option. "Really fun and interesting tour around the stadium with a nice guide." "An informative providing lots of history and relevant facts." If you are a fan of sports and football, this tour is tailor-made for you. Duration: The duration of the Pere Lachaise guided tour is between 2 and 3 hours. An informative guided tour of Pere Lachaise, a cemetery and an open-air museum of Paris. Walking among densely-staggered tombstones and chapels of different styles in search of famous people interred there. A historical overview of the significance of some people buried there. Admire imaginative tombstones and chapels adorning final resting places of various illustrious and wealthy people of their time. 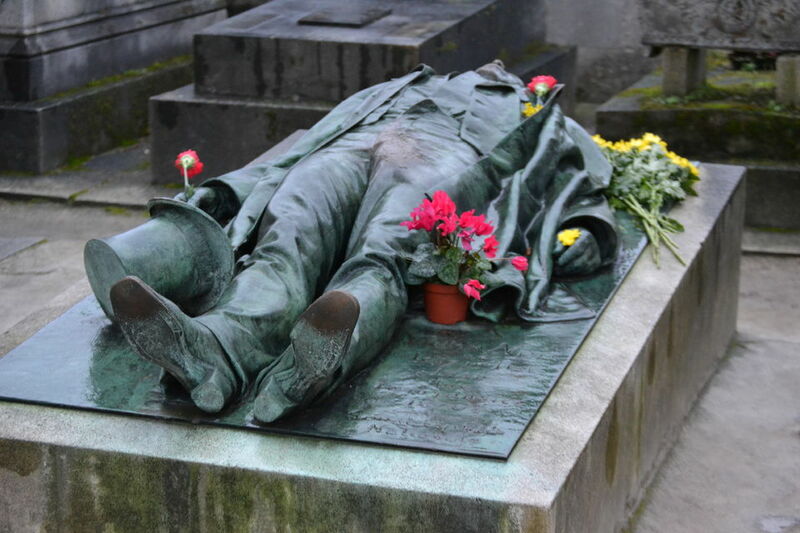 Visit tombs of Jim Morrison, Edit Piaf, Chopin and some other historic personalities. Hear interesting stories about people resting in Pere Lachaise and the history of the cemetery. Assistance of knowledgeable and professional tour guide. "The guide knows in depth Père Lachaise and he gave us many informations." "About the guide: Extensive knowledge, Lively and Funny About the Père Lachaise"
"We were a very small group and he tailored the tour according to everyone's wishes and interests." Joining the tour is the right thing to do for devotees of Paris and art. Fans of history enjoy the tour since the guide puts the historical context in touring of Pere Lachaise. Fans of music, literature and funerary art are highly recommended to book the tour. Duration: The guided tour takes 1:30 hours. An evening tour of the Opera Garnier, one of the largest and most opulent operas in Europe and the world. A lesson about the Second Empire architecture, extravagant decoration and exceptional works of art. A revelation of true events that introduced a famous legend that is among the most popular theatrical shows. 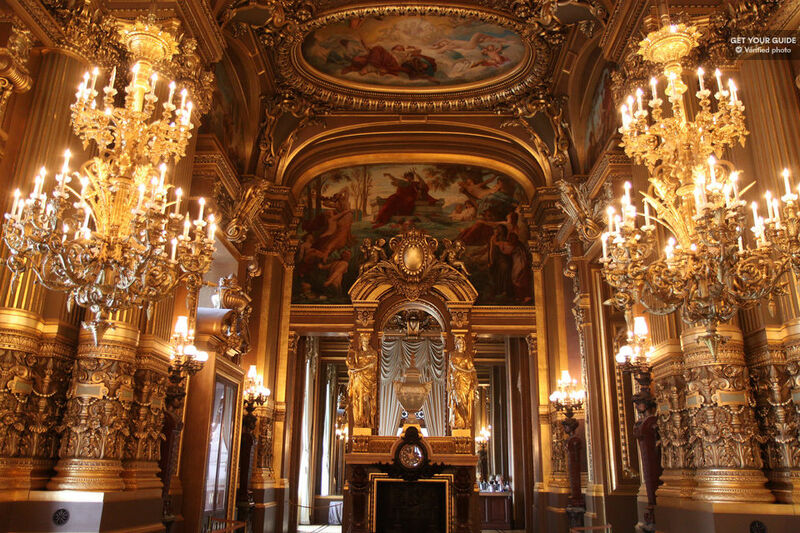 Visit the Opera Garnier during evening hours and admire its artwork and opulence absent crowds. Hear interesting stories relating to the history of the opera and the performances that took place there. Examine glittering ornamentation and grand architecture of the theatrical venue. Admission to the Garnier Opera. Assistance by a professional tour guide in English or French. "Wonderful way to see this beautiful building with a small group..."
"The tour group had the entire opera house to ourselves." Joining the guided tour is a must for fans of art and extravagant architecture. It is also highly recommended for people curious about interesting stories and the Belle Epoque. As every city, Paris, the City of Light, has its share of dark secrets, and Paris Catacombs are one of them. The guided tour of the catacombs of Paris reveals fascinating and sinister facts of the city in equal measure. The tour elaborates how millions of human remains ended up in the underground labyrinths. Skip long lines to enter the Paris Catacombs and explore the realm of death that long remained secret. Tour sections of the underground labyrinth that are closed to the general public. 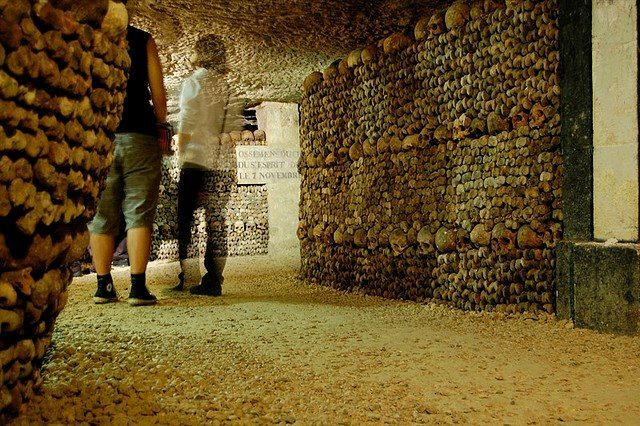 Discover how so many skulls and bones arranged in neat order found their way to the catacombs. Guided tour led by a licensed and professional guide. Fast track entry past long queues in front of the entrance. Exploration of the sections that are off-limits to ordinary visitors. "Learned more about the french revolution in this 2h than I did during my school-years." "This place was so much more than we thought it would be!" The activity is tailor-made for the adventurers and fans of dark mysteries. The guided tour is also recommended to fans of unorthodox places and history. The guided tour introduces the magnificent Orsay Museum, renowned for the largest collections of Impressionist art in the world. Besides Impressionism, the guide reveals masterpieces of Realism, Orientalism and some other art movements. The activity offers an in-depth overview of some of the most notable works of art of the 19th century. Explore the galleries abounding with amazing works of art by celebrated artists, such as Renoir, Cezanne, Monet and Courbet. Benefit of the fast-track entry and avoid waiting in long lines to enter the museum. Discover the symbolism of the sculptures and paintings that are among the most outstanding examples of the 19th century art. Professional and certified tour guide. Admission and skip-the-line entry to the Orsay Museum. If necessary, headphones allowing you to hear the guide. "Our guide was very knowledgeable and her passion for art was evident in her narrative." "Best tour guide that we have had in Paris." "...this is a great easy too see all the highlights of the museum." The guided tour is especially recommended to first-time visitors of the museum and travelers passionate about the Impressionist art movement. 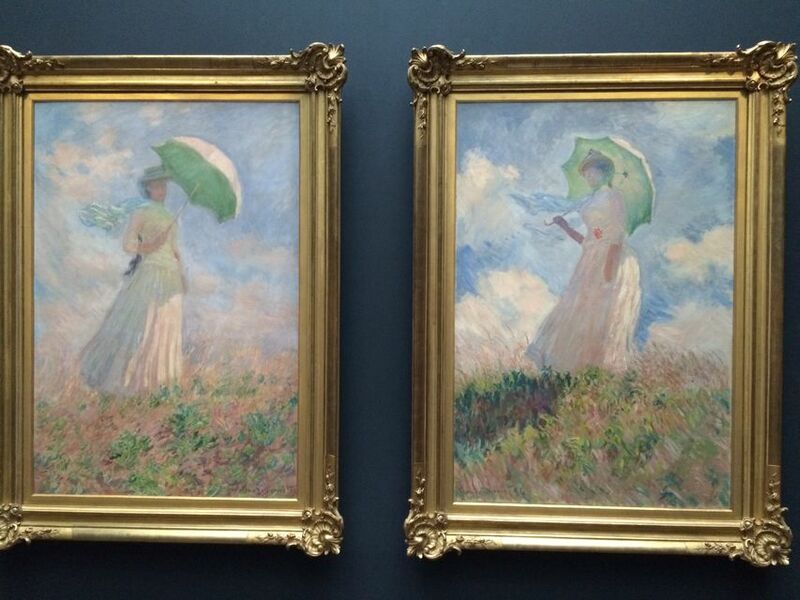 Fans of art should enjoy the tour of one of the leading art museums in Europe very much. Before becoming the Capital of Culture, Paris was a frightening place where dark rituals, mass executions and various tragedies took place. The tour reveals murders, occult mysteries and other chilling facts that used to be an everyday occurrence in Paris in the past. The itinerary covers places where some of the scariest events in the history of the city and France took place. Hear stories that reveal a Paris far different than the one we have a chance to admire today. Walk from one place to another where terrible events occurred in the history. Learn about violence, diseases, mass murders and occult events that used to be a part of an ordinary day in the French capital. A knowledgeable and specialized tour guide. A group of up to 25 visitors. "This was not a ghost tour, it was ten times better." "It was fun to get a tour of the darker side of Paris." If you are a fan of horror stories and dark mysteries, you will enjoy partaking in the guided tour. Fans of history also enjoy the experience very much. Duration: Duration of the tour is about 1:30 hours. 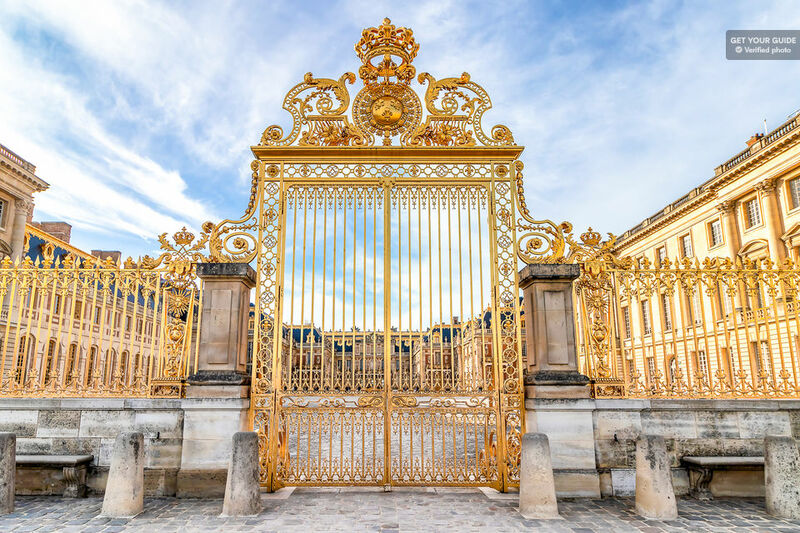 A tour of the legendary Palace of Versailles, the epitome of Louis XIV's Ancien Regime and the last residence of Marie Antoinette. The Versailles Palace consists of different sections and the guided tour covers most impressive and important ones. An opportunity to explore the opulent palace and majestic gardens after the guided tour. Learn interesting facts about Louis XIV, one of the most controversial monarchs in history of Europe. Tour elegant and extravagant rooms of the Versailles Palace's state and private areas. Visit strikingly beautiful gardens, abounding with flower beds, fountains and sculpture. A friendly and licensed tour guide. Fast-track entry to the Royal Palace of Versailles and admission to the adjacent gardens. "After the tour we could continue to explore the palace and the gardens on our own." "Our tour guide was very personable and knowledgeable." "The skip-the-line service was very helpful." The activity is especially convenient for every first-time visitor to Paris and Versailles. Fans of art, culture and nature highly recommend booking this activity. The guided tour is suitable for fans of history, architecture and people of all ages. The Eiffel Tower tour introduces the history and interesting facts about the most-visited monument in the world. The tour takes visitors to the first levels of the tower via staircases. The activity encompasses tales about Gustave Eiffel, multimedia presentations and views of Paris. Climb a flight of stairs to experience the tower from the best perspective. 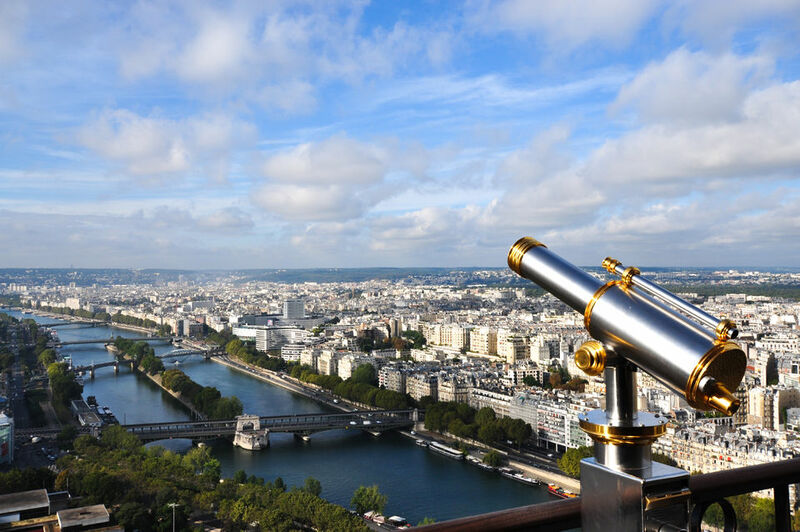 Enjoy walking on a transparent floor on the first level, admire the city skyline from the second and learn about the Eiffel Tower on a guided tour. Optionally, buy a ticket for an elevator taking visitors to the third and the top level. Entrance to the Eiffel Tower via staircase. Passionate and insightful English- or German-speaking tour guide. Elevator ride on your way down. Elevator to the top level, if you select the option. "I highly recommend this tour." "The tower is thrilling to visit." Joining the tour is the right thing to do for every visitor of Paris. Make sure you can overcome a long flight of stairs and that you aren't hight sensitive. The tour is an ideal opportunity for travelers to learn more about the celebrated symbol of the city and France. Duration: Between two and three hours. A guided tour of Le Marais district and a first-class dining experience. The trendy district is famous for its cosy cafes, fine eateries and shops suitable for every budget. The Marais neighborhood boasts fine art galleries and medieval structures. Walk the streets and markets of the Marais neighborhood and admire its laid-back atmosphere. Taste various tasty delicacies, including pastries, sweets and hams. Admire the medieval buildings of Le Marais and learn the way of life many Parisians enjoy. The assistance of a guide specialized in French gastronomy. 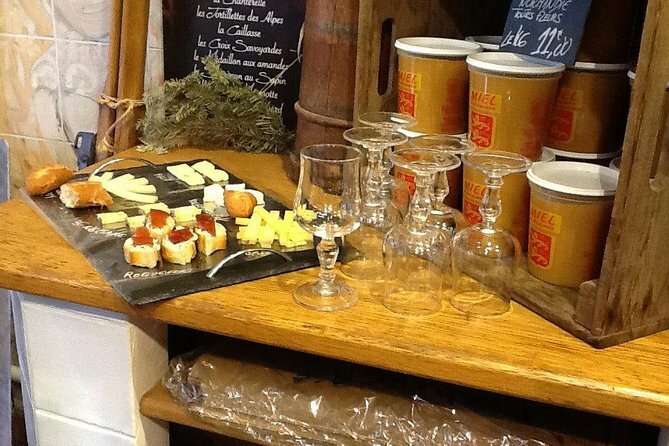 Tastings of wine, cheese, pastries and other delicious food. "We really enjoyed the tour." "Very insightful tour of Le Marais." "We had an excellent time on this walking tour." If you are a fan of French cuisine, you should consider booking the guided tour. Aside from gourmands, the activity is highly recommended for fans of art, history and medieval architecture. Shopaholics enjoy a walking tour of Marais in equal measure.